As we approach the end of the semester, I wanted to thank all seminar participants for such a generative and lively semester. It has been wonderful to explore issues of the cloud, and cloud-based infrastructure with you! 1. To what degree are social networks viable in an age of surveillance capital? To what degree can we separate the affordances of social networks — feeds, friends, interfaces — from the proprietary systems (Twitter, Facebook) that we have come to know? Are free software solutions any better, or are the part of (or at least related to) the problems we’ve identified in recent weeks? 2. What does an “infrastructural perspective” look like? How can it be applied? To what degree can it be employed like other critical lenses to shed light on various phenomena, and what kinds of actions, networks, and agencies does it reveal? Looking forward to seeing you next week for our final class of the semester. This entry was posted in Uncategorized on November 30, 2016 by Matthew K. Gold. When I was a research assistant for Professor Allan P. Isaac at Rutgers University, I once transcribed an interview between him and a Filipino call center agent who described how work at a call center in the Philippines for American companies fractured the structure of their days and nights. At night in the call center, they were expected to work tirelessly and meet a 300 second average handling time for each call, knowing that any missteps could lead to their termination and replacement. Their lives at home during the day were also impacted by the change in sleep routine and their families had to live around their schedule, moving quietly around their homes and interacting minimally. 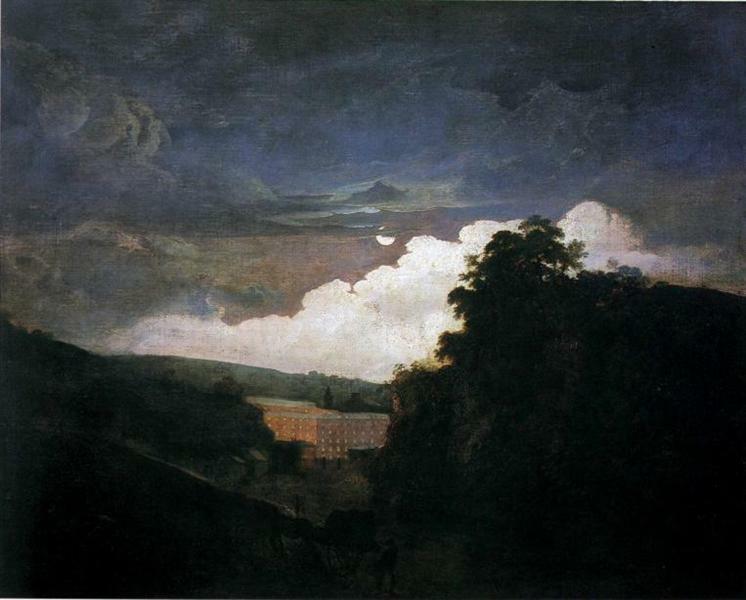 Above is Arkwright’s Cotton Mills by Night by Joseph Wright of Derby, described at the beginning of chapter three in Jonathan Crary’s 24/7: Late Capitalism and the Ends of Sleep. The author describes the “reconceptualization of the relation between work and time” and the normalization of continuous labor that is made possible through advances in technology throughout the century and across the globe (Crary 62). I found his use of Marx’s observation that the “first requirement of capitalism… was the dissolution of the relation to the earth” a familiar process in Professor Isaac’s research on call centers and the “disconnection from family, community, environment” due to the organization of labor a familiar sacrifice for both OFWs and the call center agent who must navigate global time and national time (Crary 63). This entry was posted in Uncategorized on November 29, 2016 by Alison Boldero. After much ado, I was finally able to get a twitterbot up and running. I created a bot @somemodernist that tweets out lines from Virginia Woolf’s novel, Jacob’s Room (1922), whenever I run the module. I chose Jacob’s Room because Woolf wrote the novel with space breaks — that is, she divides the narrative with blank spaces into “scenes” or little sketches. I’ve done work on this novel before (I actually created a prototype for an online edition of the novel for my MA project), and I’m always really inspired by how the digital medium engages with Woolf’s work, in this case, with the fragmentary structure of her narrative and her use of blank spaces. To make this bot, I used the tutorial from the “Build a Bot” workshop developed by Terian Koscik. Though I still had difficulty getting the bot up and running, the workshop was extremely helpful for my goal, which was to get a bot to tweet lines in succession from a text file. That being said, working on this bot actually gave me an idea for something more interesting (unfortunately, @somemodernist isn’t quite as robust as I want it to be, the lines don’t tweet neatly and it won’t run without my prompting). In the near future, maybe over the break, I’m going to make another bot for Woolf’s novel The Waves. For those who are unfamiliar with this novel, the narrative runs through the stream-of-conscious of six different characters, and their thoughts at times share the same phrases and images. For that reason, there’s an interesting literature on Woolf’s creation of a shared consciousness, if any of you guys are interested. In making this bot, I’m going to get more deeply into Python (which is something I’ve been meaning to do, now I have an excuse!). My goal is to run a script that finds patterns of words or phrases throughout the novel and tweets them in succession, regardless of the speaker. The tweets will then facilitate more study on the shared language of the six characters in the novel. I found some resources that will help with this kind of text analysis in Python. First there’s the Natural Language Processing with Python (NLTK) Book, which is an online book that teaches beginners how to do text analysis in Python. Then there’s the pattern.en module, which allows for more advanced syntactic searches and analysis, and finally there’s the TextBlob module, which is like a more beginner-friendly library of scripts for processing text. This entry was posted in Uncategorized on November 28, 2016 by Filipa Calado. 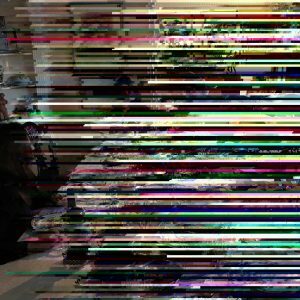 For the past several weeks, I’ve been thinking about computer code and language as a means of control. For Alexander Galloway, code is a type of protocol, or a way of imposing control in communication. In Protocol, Galloway describes code as a language (yet to be officially recognized as such) that requires adherence to its standards in order to work. For Kenneth Goldsmith, code offers an opportunity to be creative. In Uncreative Writing, Goldsmith talks about remixing different kinds of “code,” such as the code from an image file with lines of poetry, to create a new image. I’m wondering how we can bring what Galloway says about control and restraint in code into conversation with Goldsmith’s presentation of creative uses of code. Galloway shows how power structures, such as DNS and ISP, are instituted through code, which must conform to a certain standard in order to successfully communicate. For Galloway, resistance to this kind of control consists of finding loopholes or “exploits” in systems (what hackers do). But Goldsmith shows how resistance to standards can take a different route, how it can actually defy the requirements of protocol, by splicing the standard code with other kinds of code, or languages. This remixing is creative because it combines two different codes (such as poetry and computer code) to create something new. The image shows two things: first, how the code doesn’t work, and second, how this failure nonetheless results in an image that is read and rendered by the computer. In this case, the remixing of code is both corruptive and creative. It shows that mixing different kinds of languages, such as English and computer code, successfully resists standards. I realize that Galloway’s project is ultimately about communication, while Goldsmith’s is about creating something new from old materials. But it seems to me that we can see the two in the same light, as a resistance to the control of language through experimentation. Do you think this experiment changes how we view protocol? Is mixing different kinds of code analogous to Galloway’s “exploit”, or is it something else? This entry was posted in Uncategorized on November 27, 2016 by Filipa Calado. In my earlier post, I began to reflect on the ethical, political, and theoretical limitations of the cloud text project I designed. By way of summary, I offer the following: my twitterbot retweets slightly altered tweets from the #NotNormal stream, so as to amplify a broad range of political messages associated with Anti-Trump sentiment and resistance. In my initial post, I expressed concerns about the ways in which my bot promulgated and perpetuated unvetted news links, thereby contributing to a larger problematic grounded in uncritical reading and reflection. Topical. According to this criteria, bot should not be about lost love or existential anguish; they should focus on the morning news — and the daily horrors that fail to make it into the news. My bot, though initially topical (I constructed its database from tweets collected over the course of two days), but since then the news cycle has moved on. Ideally, I would have a mechanism for continually scraping the twitter feeds to update my supporting database. Data-based. Here Sample articulates the importance of actual data and research. Mine transmits memes and other forms of predigested research, but does not reach back to the supporting data in responsible ways. Cumulative. In Sample’s words, “it is the nature of bots to do the same thing over and over again, with only slight variation. Repetition with a difference.” The aggregation of these repetitions conveys rhetorical and political weight. In this sense, my twitterbot functions well – it highlights the repetitive nature of reductive political sentiment; it assaults one with the only slightly iterative nature of revision in twitter-based discourse, etc. Though I intended it to function in service of progressive politics, what manifests is an implicit critique of political discourse. Oppositional. My bot takes a stand, which Samples argues is an important element of automatized protest, but that stand is a catch-all aggregate of sometimes only ancillary stands – the #notnormal hashtag can be instrumentalized in a wide variety of political projects, and for that reason my bot’s stand can be at times incoherent. (I even had to delete two references to blonde tips that somehow appeared). Uncanny. If, for Sample, bots should help reveal things that were previously hidden, then my bot fails entirely to satisfy this criteria; the tweets it produces have already been tweeted (and, in many cases, already retweeted). Instead of revealing the hidden, my bot exaggerates existing visibility. I present this exercise, not as a means of self-castigation, but as a way of more rigorously reflecting on what seemed to be a clever project. And this has me rethinking my bot’s potential for revision and ongoing deployment. This entry was posted in Uncategorized on November 22, 2016 by Andrew Dunn. The updated map is a little more interactive – you can scroll left and right, zoom in and out to read short reports on changes to the cable network since the map’s previous publication. I enjoyed Blum’s description of Krisetya’s cartographic work as a form of storytelling (“I loved drawing stories on paper, and referencing distance in that strange manner,” [Krisetya] told me) (Blum 15). This entry was posted in Uncategorized on November 22, 2016 by Alison Boldero.